Some years ago it was a regular custom of mine to “put on plays” with my kids. It was easy to turn my son's bed into a fort so most times we’d set up shop in his room. The plays were performed by select characters from my son’s and daughter’s stuffed animal collection. We’d supply the voices and the stuffed animals would supply the fun. There was Max and Mac, Lamby and Molly, Lexi and a hippo who, when introduced to newcomers, always said in a funny voice “…but you can call me Milfred.” There were more figures that rounded out the cast, but these were the principal players. We’d stack books to build makeshift buildings and lay out small baby blankets to denote prairies or oceans. Sometimes we’d use a ship from a pirate set to travel from Europe to North America while other times we’d commandeer an Air Force jet we’d bought from the bargain store. Travel in-country most often involved Action Man’s ATV or just good ol’ fashioned walking or running. Last night while we were getting ready for dinner my daughter--who is now a teenager--brought up the topic of these “plays.” I was distracted at the time, but I thought I heard her say something like: “Hey, Dad. You remember those plays we did?” I thought I even heard her say we should do one again sometime. Well, as I said, I was distracted when she brought it up so it wasn’t a topic of ongoing discussion at that point. Because of their age, I was surprised at first and I think they interpreted my reaction as disapproval because immediately my daughter said something to my son to get him to forget about it and the topic dropped just as quickly as it had come up. My son had a look on his face that let me know he likely felt it was too “babyish” to do plays like that ever again. We should never be ashamed to play. Most times we take ourselves far too seriously, anyway! Kids learn by playing and I’m convinced that the biggest reason we stop learning is because we stop playing. Think of playfulness as a mindset more than a method. It is a way of approaching life that puts one in a posture of openness. In play we are teachable, pliable. Because play is improvisational, it is relational, imaginative and surprising. Play teaches us values like respect, grace and courage. When we embrace these qualities in the act of play they become more deeply embedded in our lives than when we are simply “taught” them by a textbook or dictionary. Play helps us become better people because in play we want to become better. When virtue is desired, goodness is acquired. Whenever I remember playing with my children I cannot help but feel hopeful, encouraged. You could say I have a bigger twinkle in my eye and a lighter spring to my step. This, in turn, makes me feel like playing some more, which in turn forms me into a more integrated person. Considering the fruit that’s borne of play, why do we set aside playing when we “grow up”? Come play with us. 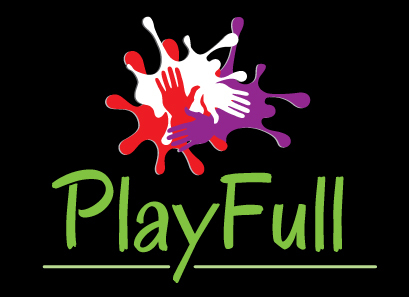 Contact me at troy@playfull.org to learn more about the different pathways PlayFull has to offer or check out more here on our website.